No: 5/16A, Uplands, Kandy, Sri Lanka. 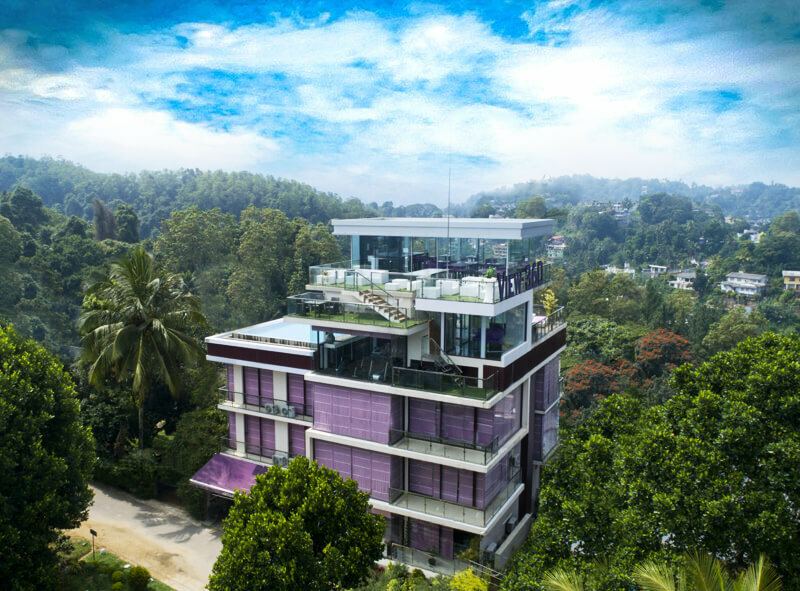 View 360 - a perfect blend of luxury, Nature and heritage is a modern luxury holiday apartment complex conveniently located amidst the city of Kandy. 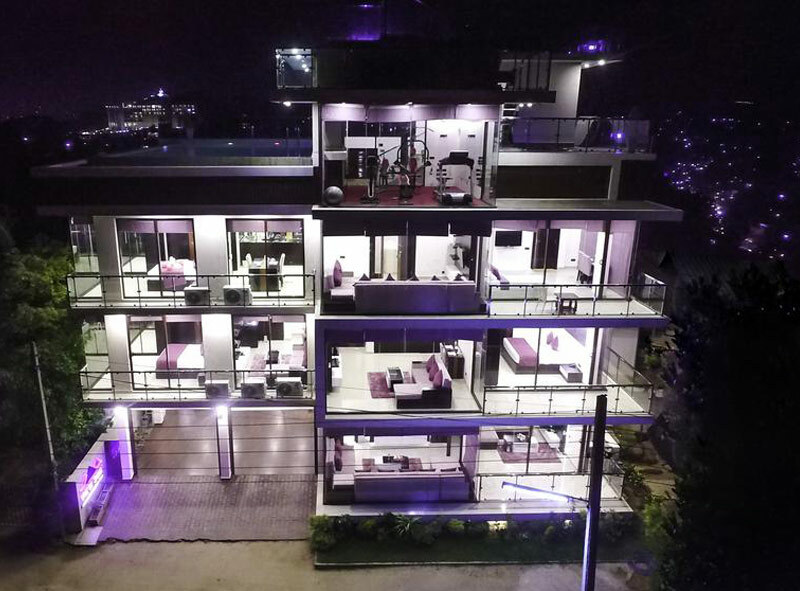 The complex is ideally located not too closer or too far from Kandy cityscape giving you the best access to all of the surrounding attractions - the 360 panoramic view of the surrounding mountains, cultural icons and the sacred temple of the tooth relic. The place offers its visitors oasis of tranquility away from the hustles & bustles of the hectic lifestyle and indulge in a rich experience of modern luxuries perfectly blended with the cultural & architectural brilliance. Spend your time enjoying the spectacular views, ultra modern luxuries lifestyle and the much needed privacy in a place away from home but feel like home. 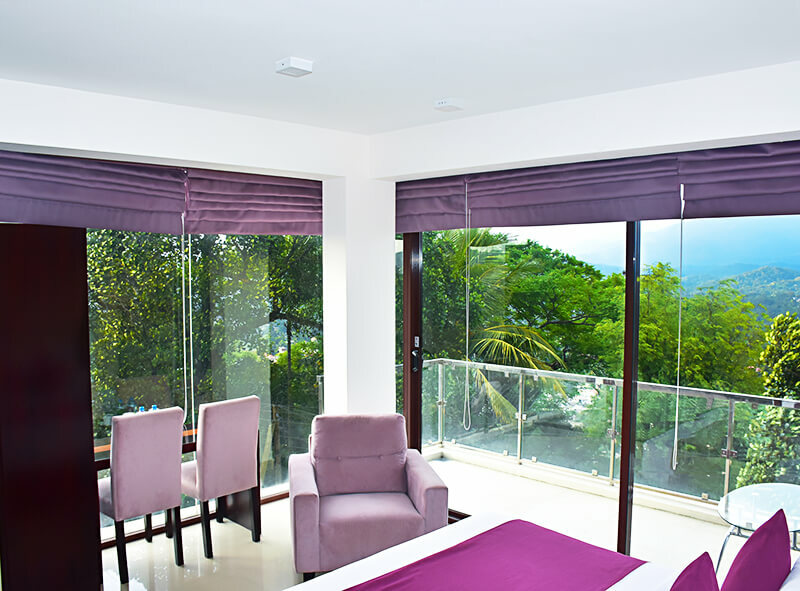 Accommodation at view 360 is truly an experience of luxury and tranquility that no other place in Kandy has to offer. All the apartments are designed to suit the modern luxuries lifestyle in mind. The floor-to-ceiling windows and wall-to-wall glass afford unobstructed spectacular views of the mountain ranges and the bustles of the royal city. The windows offers a feeling of infinite space and let in plenty of natural light, thereby eliminating the usual claustrophobic feeling of apartment living. All the apartments are adorned with all the modern amenities like in-built kitchen with modern equipment’s, modern bathroom, and luxury king size bed etc. 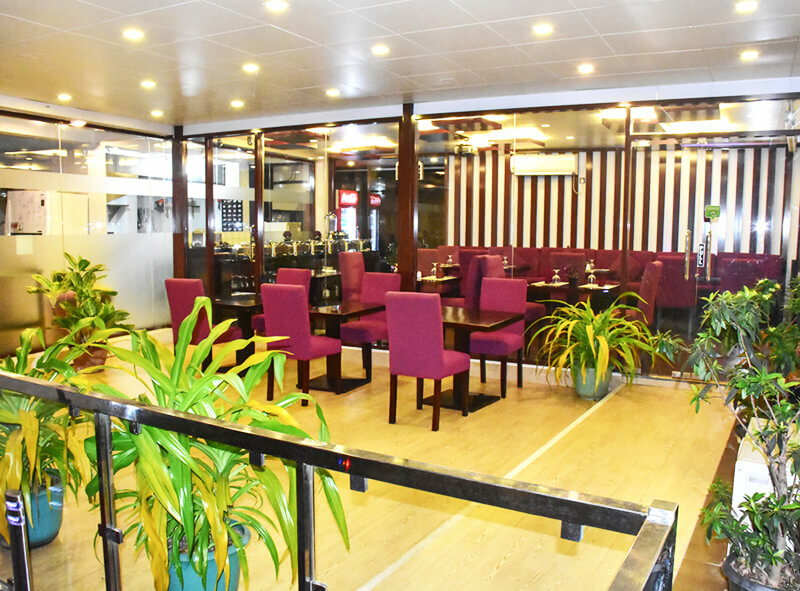 The friendly staff is dedicated to serving your needs with attention and personal touch without disturbing your privacy or the tranquility. Further, we have set up a program to ensure the security & privacy of the guests without inconvenience to the luxurious lifestyle. View 360 - a perfect blend of luxury, Nature, heritage and luxury is a modern holiday apartment complex conveniently located amidst the city of Kandy. 5/16A, Uplands, Kandy, Sri Lanka.